The Best of Intentions, my debut novel, went live as an e-book in November 2018 and I hope you’ll check it out. The paperback version looks fantastic and will be available from 8 January 2019. You can order it from your local bookstore or purchase it from an online distributor. It is a tale about vulnerable young people and the fallible adults charged with their care. In my eagerness to get started, way back in 2011, I drafted a couple of scenes and soon developed a sense of unease. How old was Kurt exactly? When was he last in Belgium? Too many continuity errors. I had to take a step back and acquaint myself better with my characters. When and where had they met? How did they get to work? What role did they play in my story and how would they change in the course of it? I started outlining their backstories. Just a series of dot points really, in my Scrivener project folder. In the research folder I collected photographs to help anchor my imagination in reality. Helpfully, the program comes with templates that help you flesh out characters and settings. Now, all that new information did not need to be incorporated into my story, but it formed the bedrock upon which it rested. My characters needed to feel like friends I’d known for years. Having developed a backstory for each of the major characters, my writing became more assured and the characters richer, more rounded. For my next story I intend to set up a Pinterest folder for each major character as an inspiration board, documenting the type of clothes, objects and environments associated with that character. Eavesdropping on public transport or in cafés is not only acceptable for writers; it’s a sacred duty. You perfect your ear for dialogue, update your knowledge of current slang and pick up the occasional gem. As an ex-teacher I thought I knew how teenagers speak. My youngest daughter dispelled that delusion: the 80s was a long time ago, Dad. Reading contemporary fiction serves a comparable role for your story-telling skills. You can see how other authors balance showing and telling, use point of view or build up suspense. However, I steered clear of books set in Melbourne: I didn’t want my perspective to be influenced or clouded by the work of others. I shared the first draft of the first chapter of my first book with some of my loved ones. Wrong call. I guess I wanted validation and encouragement. What I got was a lukewarm response peppered with mild but constructive criticism. Unprepared for that feedback, I stopped writing for a couple of months. In the early stages of a major writing project there is such a gulf between the vision in your head and the words on the screen that it is unwise to share your work, especially with family members, whose appreciation you crave, or at least value. I learned that lesson and didn’t share my work again until after I had completed and revised my entire first draft, some eighteen months later. This is no criticism of my first readers––I’m the unreasonably needy one in this story. They helped me by providing their genuine response to a draft that was still underdone. In that moment I discovered how much my novel meant to me, and how insecure I felt about my skills. For me, momentum is more important than inspiration. If you write every day, writing will become so much easier. You remember how to wrap up thoughts in words, with a big bow around it. I have no set writing schedule, but I try to write in the morning and may often put in a good three hours. After that I generally get distracted by my cat’s compulsion to be on the other side of doors, though sometimes I’ve been known to clock up seven hours of writing in a day (my cat hates those days). Maintaining momentum is also the antidote to writer’s block. Just churn out those words already, don’t fuss too much about quality––you can always revise your text tomorrow. The only thing you can’t edit is an empty page. I shared an advanced draft of my novel with a small group of beta readers, who provided invaluable input about plot and character development as well as clinical and cultural issues. I had sent each of them an email setting out my expectations (essentially to focus on plot and character development, never mind the typos), and that seemed to work well. In retrospect, I should have started the beta reader process earlier, before I felt overly committed to the complex plot structure I had developed. Next time I will also stagger the process more, maybe allocating a new beta reader to each successive draft. My readers clearly also needed more time to read, digest and comment on my 400–page book. I had estimated six weeks; most of them needed three months. Wise people recommend that you put your manuscript aside to let it ‘ripen’. Initially I didn’t give much credence to this notion (I can be stubborn like that), until I noticed that my editing process had deteriorated into a nitpicking monologue. I was changing a sentence here, deleting an adjective there, but shying away from more incisive changes to my text. It wasn’t until I had put my draft aside for a couple of months and commissioned a manuscript assessment, in order to have another pair of eyes look at my work, that I felt more receptive again, willing to reconsider major aspects of characterisation and plot development. This point is not at odds with item #4, by the way: you can work on other projects while your magnum opus puts up its binary feet on your hard drive. There will be times when you feel you’re in the doldrums, bobbing around directionless in a stagnant pool of used semicolons and deflated exclamation marks. For me, this happened primarily in the course of my editing process. Changing tack really helped. I normally write using Scrivener on my iMac, but at times I would print off a single scene and revise it using the hard copy. You can highlight POV changes or sections of dialogue to your heart’s content; and often the different format will help you see things in a new light. During the creative writing phase you may wish to work in a different location, such as a Dutch windmill or a Spanish goat farm (at a pinch, the local Starbucks might do). Scrivener has a mobile app that synced perfectly with my iPad Pro. Lightweight bliss. Wrong! Foolish notion. You can self-publish all you like, but please budget for a professional editor and cover designer. There must be some sort of synapse-thingie in the brain that makes you read what you expect to see, rather than what is actually on the page. And most of those lapses are not picked up by a spell-checker. I had a character look through a widow right until the penultimate draft, while another one used a desert spoon at the table. Meanwhile, on a lake in Gippsland, pelicans were pruning their feathers… So I’m glad I used a professional editor. But a good editor does more than proofreading, of course. They check for holes in your plot, for flaws in character development (such as your vampiric nun eating garlic bread) and inconsistent voices in dialogue. You’ll find out that NQR stands for not quite right. Ideally, you should commission a developmental edit once you have an advanced draft, a copy edit when (you think) your manuscript is complete, and a proofreading edit after you’ve made your final changes (and probably inserted new errors). there are great mobile apps that sync flawlessly with the desktop. Scrivener 3 for Mac has made the compile function easier to use. The app is also available in a version for Windows. Vellum, which is available for Mac only, is a fantastic program for developing your book’s interior file. It creates the text file for all common e-book formats as well as the PDF file for paperbacks. Unlike Scrivener, Vellum is quite expensive. However, it is easy to use and produces attractive interior files. IngramSpark accepted my Vellum interior file at first pass. You can use the program indefinitely, and its frequent updates mean that its files always meet the technical requirements of the respective distributors. That wasn’t always the case with a free program I had used in the past. Check out an earlier post about My Writer’s Toolkit for other programs I use, such as Scapple. Know this before you hit that publish button: you’re one in a million. Literally. In 2017, one million titles were self-published globally. Time, maybe, to lower those expectations of overnight success. We’ve all seen self-published work where the cover and the blurb already proclaim the lack of care and skill. 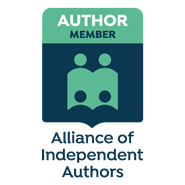 These days, however, indie publications are increasingly of a professional standard –– well-written, professionally edited and competently published. While that professionalism is a prerequisite, it offers no guarantee for success. It’s easier to get published these days, but possibly harder to get discovered than ever before. You need to be an author, an editor, a project manager, a publisher and a promoter, all rolled into one. If you’re a fellow author reading this, I wish you all the best. You’ll need a hefty dose of good luck, and so will I. But sing your song, and keep that dream alive! And, er, while you’re here, why don’t you check out my book! I too published a short story ebook on Amazon (https://amzn.to/2L0b7WE). I was hoping it would be a relatively simple process, write, edit, revise, publish. Talk about hard work. I agree with point #6. It’s always a good idea to rest your draft (even though it aches to do so, especially when it feels like a good first draft), once you come back to it with a new set of eyes you’re going to see nothing but glaring errors that you would’ve never expected! Great article! !